Lee Camp Interview: "Redacted Tonight Is The Daily Show With Sharper Teeth"
Lee Camp sits down for an interview with Dennis Trainor, Jr. to discuss his new 30-munite weekly comedy show on RT, Redacted Tonight. "In my opinion, (Redacted Tonight) is The Daily Show with sharper teeth," says Camp. "The Daily Show is incredibly funny, and I don't deny that, and I'm a huge fan of The Daily Show, but," Camp notes, "as Chris Hedges has said, 'Colbert and Stewart are allowed to go after the foibles of out leaders but they can't go after the deeper concerns. (Such as) the deeper idea that the two main political parties are completely bought by these corporations and aren't speaking for the people." Lee also talks about his new stand up video special, We Are Nothing, the Liz Wahl, Abby Martin kerfuffle, and what it is like to have Vladimir Putin have editorial control over a comedy show. Ok, the thing about Putin is a joke, but Trainor forces the issue not once, but twice. 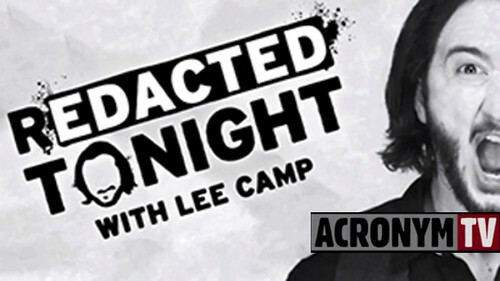 Redacted Tonight with Lee Camp airs on the RT network every Friday night at 8PM & 11:30PM EST and is published inline at RT.com. About Reacted Tonight with Lee Camp | With reality now seeming like a Shakespearean comedy, perhaps only comedy can truly bring truth to the people. DC-born comedian Lee Camp and a talented cast do just that with RT America's first comedy show - Redacted Tonight with Lee Camp. This is not your grandparents' satire program. Every week Redacted Tonight will provide comedy news with a punch. This weekly satire show tackles all the real news stories the mainstream media failed to mention and provides new angles on the ones they do. In the premiere episode of the show (watch here) "Lee Camp takes a swipe at Monsanto, a company that makes him sick, and John F. O'Donnell gets molested by the tentacles of the billionaire Kochtopus. Obama ends the War in Afghanistan with something other than peace, while Chilean magician, Papas Fritas, makes $500 million in student debt disappear. 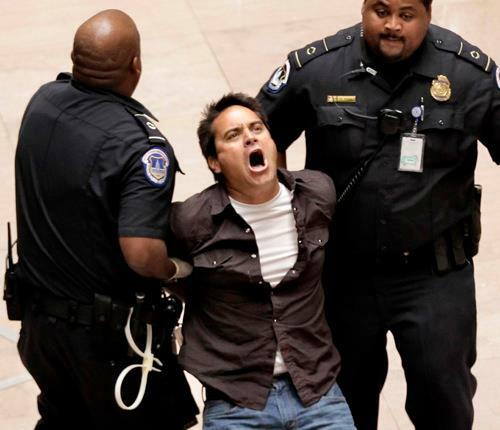 Sam Sacks examines NSA reform - and by "reform," we mean ''business as usual." A second Deutsche Bank video against boasting bankers is mysteriously leaked, and speaking of leaks - radiation is leaking in New Mexico. Tennessee brings back a shocking punishment, and more!" You can like Redacted Tonight on facebook and follow on twitter. Dennis Trainor, Jr. hosts Acronym TV, a weekly series of dialogue, conversation and debate with the goal of helping viewers sort through these transformative times through the insight of leading activists, artists, journalists, philosophers, scholars, and thinkers. Acronym TV is part of The Young Turks Network, the largest online news source in the world. Acronym TV, what do you stand for?